Posted by: Morton A. Klein and Susan B. Tuchman, Esq. The New Jersey Jewish News (NJJN) recently published two columns that criticized and raised unwarranted concerns about using Title VI of the Civil Rights Act to protect Jewish students from anti-Semitic harassment and discrimination. The columns were written by Martin Raffel, a regular NJJN columnist who used to be the senior vice president of the Jewish Council for Public Affairs (JCPA). The NJJN published the ZOA’s op-ed strongly disagreeing with Raffel’s first column, without suggesting a single substantive change. The NJJN would not publish a ZOA op-ed responding to Raffel’s second column. It published a letter instead, but omitted key parts. In Martin Raffel’s columns about using Title VI of the Civil Rights Act to protect Jewish students from anti-Semitic harassment and discrimination, he described Title VI as a “blunt instrument [that] ought to be deployed only as a last resort.” He suggested that Title VI is being misused to silence free speech. Raffel’s views encourage anti-Semites, who will interpret his views as a reluctance and a fear within the Jewish community to fight campus anti-Semitism fiercely, with every legal tool available to us. When we pointed out that Raffel’s views mirror the message that the Jewish Council for Public Affairs (JCPA) sent in 2011, when he worked there, Raffel objected. He claimed that his job at the JCPA did not involve Title VI and “only extended to international issues.” That claim is false. We’ll explain. In 2011, before the Zionist Organization of America (ZOA) filed its Title VI action against Rutgers University, we wrote to the university’s president, detailing the anti-Semitic harassment and discrimination that Jewish students were enduring. The ZOA recommended several steps that Rutgers should consider taking to comply with its legal obligations under Title VI, including publicly labeling and condemning acts of anti-Semitism on campus, and meeting with Jewish students to listen to their concerns and working together on solutions. Not a single one of our recommendations involved restricting anyone’s free speech. When Jewish communal leaders learned about and considered ZOA’s letter, it was Martin Raffel – Senior Vice President of the JCPA – who weighed in on the JCPA’s behalf. Raffel rebuffed an invitation to contact the ZOA to learn more about the problems, fears and concerns that Jewish students had reported to us. Raffel rebuffed working on a unified strategy with ZOA, which might have encouraged the university to finally address the serious anti-Semitism on campus. The university didn’t address it, which led to the ZOA filing a student-backed Title VI complaint with the Office for Civil Rights (OCR) in July 2011. Shortly thereafter, Raffel’s JCPA considered adopting a harmful resolution that would place limits on Jewish students’ use of Title VI – beyond what the law required — when they were subjected to anti-Semitism on their campuses. JCPA’s resolution contained standards for using Title VI that were even stricter than what is required by OCR, the federal agency that enforces Title VI. In a letter to JCPA’s board of directors, the ZOA urged them to reject the draft resolution, for the same reasons we disagreed with Raffel’s recent columns: No one should put arbitrary restrictions on when victims of anti-Semitic harassment and discrimination may seek legal redress. The resolution was discussed at an October 2011 JCPA meeting, at which Raffel played a leading role. 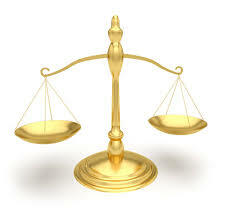 Raffel now alleges that the JCPA’s harmful resolution was widely praised. But the truth is, even member organizations of the JCPA disagreed with it – including the Jewish Community Relations Council of Northern New Jersey, whose community included many Jewish students at Rutgers – for precisely the same reasons ZOA opposed it then and disagrees with Raffel now. 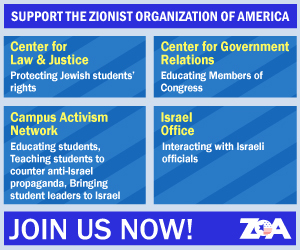 The ZOA works closely with college students. We are acutely aware of the growing anti-Semitism many of them face on their respective campuses, including vicious anti-Israelism and anti-Zionism that are a mask for Jew-hatred, plain and simple. Raffel’s views send a demoralizing message to these Jewish students – that they, unlike other victims of harassment and discrimination, should not fully avail themselves of their legal rights and remedies under Title VI. Raffel’s views also encourage anti-Semites, who will interpret his views as a reluctance and a fear within the Jewish community to fight campus anti-Semitism fiercely, with every legal tool available to us. We can’t allow that to happen. We urge Jewish students and the Jewish community to reject Raffel’s views about Title VI. We must support Jewish students’ absolute right and prerogative to use Title VI to fight the vile anti-Semitic harassment and discrimination they are enduring on campuses across the country.